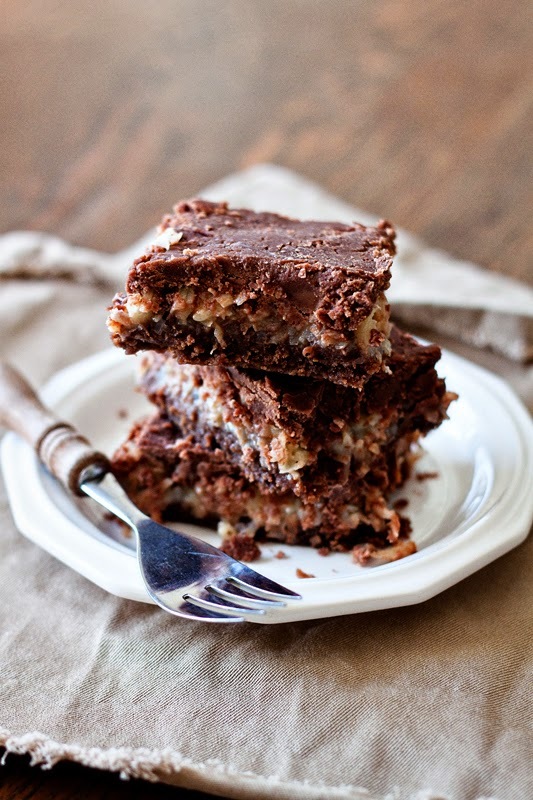 If you are a coconut lover like me then you will absolutely love these coconut squares! Nothing is more heavenly than a coconut/chocolate duo! Here's another great recipe by Grandma Bridge. Spread batter in a 9x9 pan. Mix sweetened condensed milk and coconut together, spread on top of batter. Bake at 350 degrees for 30 minutes or until topping is golden brown. Cool then ice with chocolate frosting. Combine butter, cocoa powder, and milk in small sauce pan. Bring to a boil. Turn heat to low then stir in powdered sugar and vanilla. This recipe is a family favorite. My mother-in-law would make this for us during the summers that we lived with them. Instead of using blackberries she would use rhubarb. It was the most heavenly dessert I had ever had. The best thing about this recipe is you can substitute the rhubarb for a variety of different fruit. I usually just use whatever happens to be in season at the time. 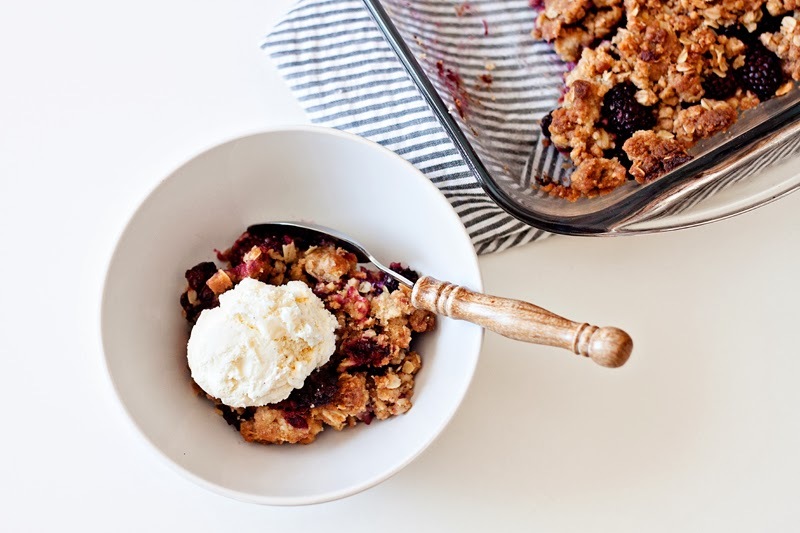 Right now it's blackberry season, so blackberry crisp it is! Press 1/2 of mixture into a 9x13 pan. Add 4 cups chopped rhubarb, or fruit over the base. Top with rest of crumbs. Great with cherries, peaches, raspberries, or any kind of berry.